We spent last weekend in Maine, in what felt like the real kick-off to the summer. I love the way Maine smells – like pine needles drenched in sun, freshly cut hay, lake water, wood shavings, and the occasional whiff of smoke. When I step out of the car I inhale deeply, taking in everything sweet and fresh and good about a place where days are spent outdoors and the windows are always open. It was a blissful few days. I went swimming every day, hiked on mossy trails and rocky ones, ate fried seafood overlooking the harbor, and caught a few beautiful sunsets – one from a small cabin deck with a 180° view of the ocean, one from the middle of the harbor, bobbing gently in our boat, and two from the picnic table where we gather for wine and dinner. I can’t wait to go back. 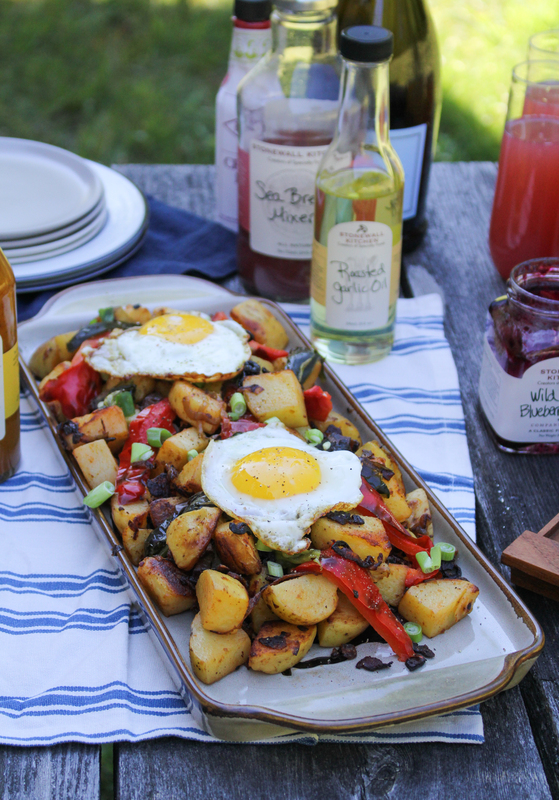 While we were there, we put together a sunny Sunday brunch featuring Stonewall Kitchen products in celebration of their 25th anniversary. Stonewall Kitchen is a Maine company through and through, headquartered in a beautiful space in York, Maine. 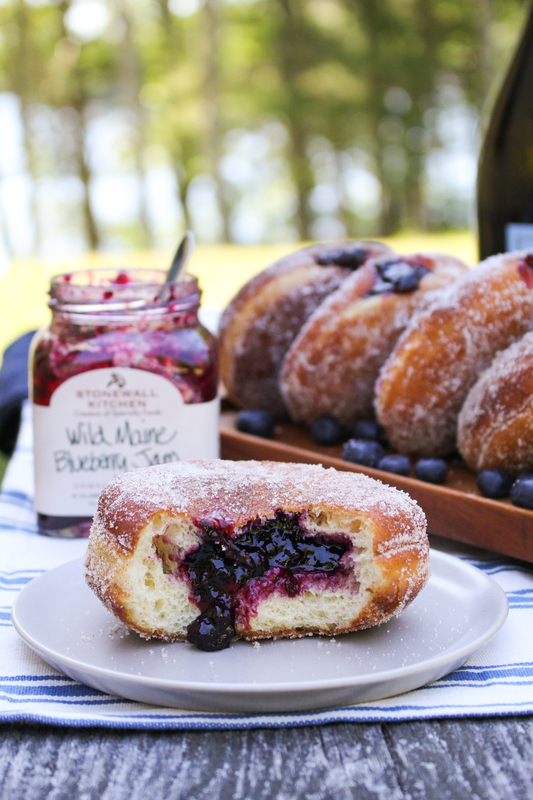 They are probably most famous for their jams and jellies (especially the Wild Maine Blueberry Jam! 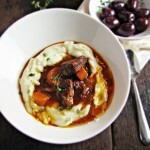 ), but I’ve tried a number of their sauces and spreads and all of their products are truly high quality and delicious. Started by two young men selling their jams and chutneys at a farmer’s market, Stonewall Kitchen has expanded into a company that is a household name for many. You can read more of their story, and check out all their delicious products, on their anniversary website, Taste of 25 Years. For our brunch, we used four Stonewall products to put together three delicious recipes. 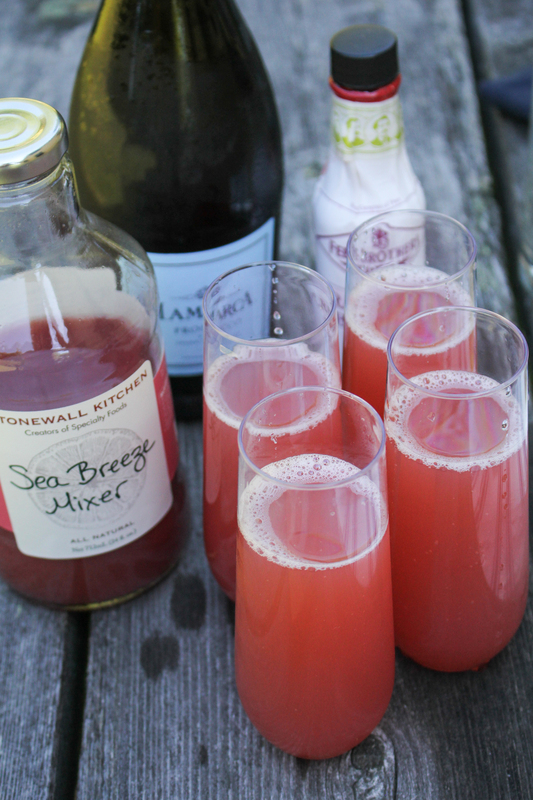 First, Sea Breeze Mimosas, the simplest thing in the world to make – just a splash of chilled cranberry-grapefruit Sea Breeze Mixer, a dash of cranberry bitters, and a healthy pour of prosecco. If you’re getting an extra strong start to your day, a little bit of vodka added to the mix doesn’t hurt either. 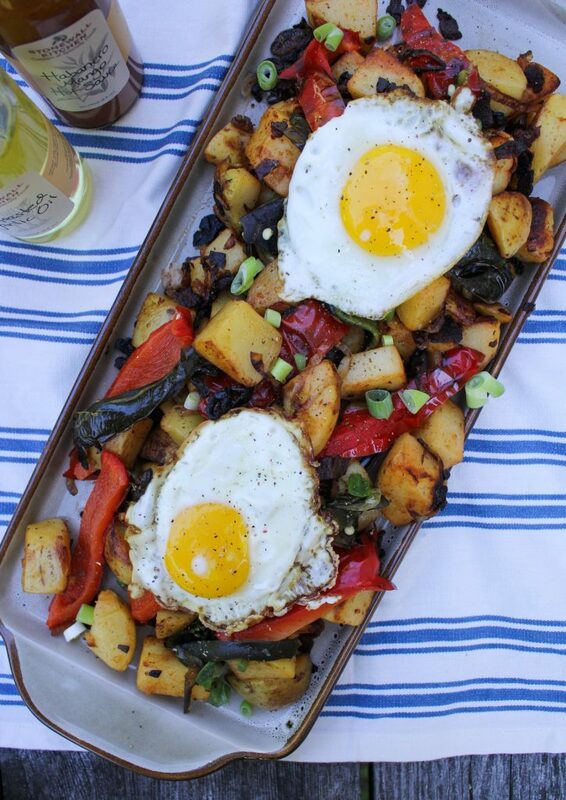 Second, a Smoky Roasted Garlic Hash – potatoes sautéed with shallots, Roasted Garlic Oil and smoked paprika, strips of roasted red pepper and poblano, a sprinkling of scallions, and a crispy olive-oil fried egg to top each serving. And to finish off the dish, an essential topping: Habanero Mango Hot Sauce. 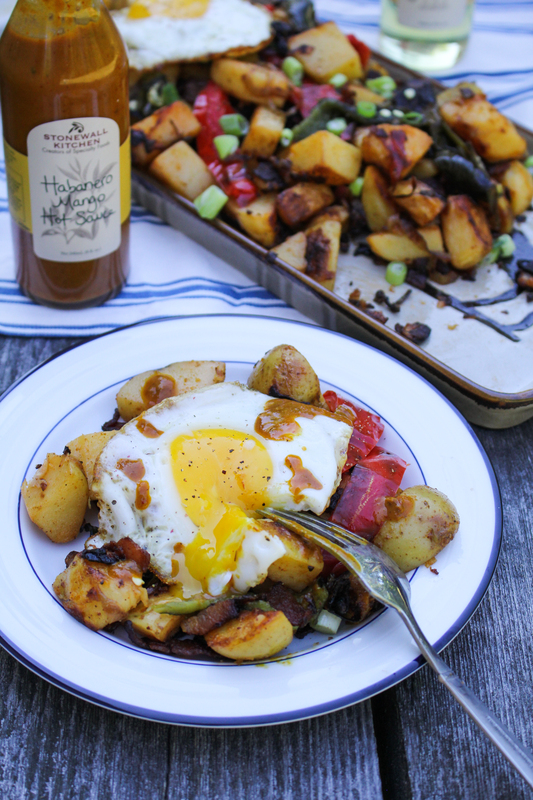 This smoky, slightly sweet, slow-burn hot sauce is absolutely delicious – I’m kicking myself for leaving it behind with my family (we put it on everything from eggs to burgers to baked beans over the course of the weekend). The last recipe, and in my opinion the star of the show, Wild Maine Blueberry Jam Doughnuts. 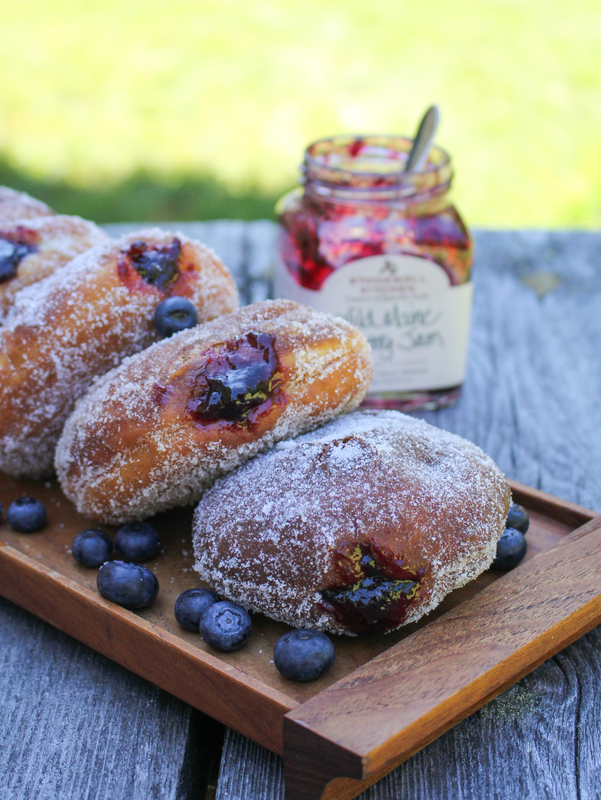 These are the doughnuts of your dreams – light, just a little bit chewy, rolled in a generous amount of cinnamon sugar, and stuffed to the gills with Wild Maine Blueberry Jam. There’s a trendy/hipster doughnut shop near us in Boston that makes jelly doughnuts that I dream about (so much so that I got one for my birthday breakfast for the past two years) – and these were even better. Every single one of my family members tried to have just one and ended up eating two – even my weight-lifting, sugar-avoiding little brother. Congrats to Corinne of Spare Cake on winning! A Giveaway! 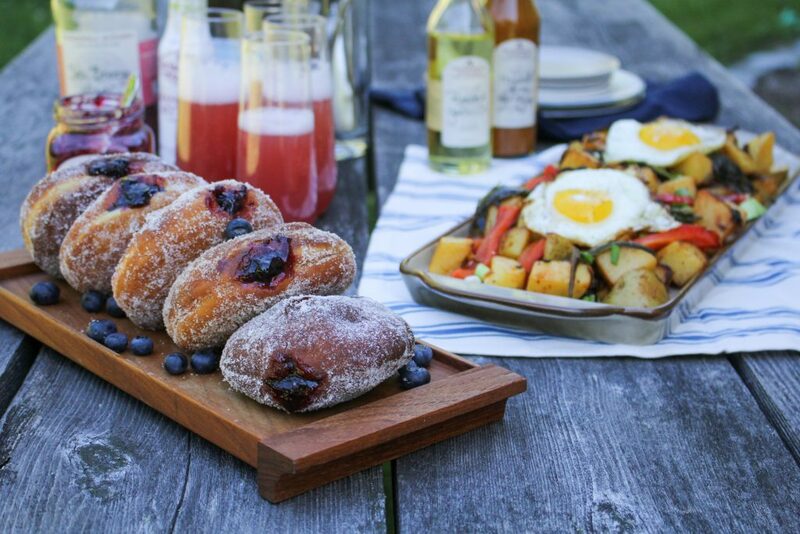 I have good news – Stonewall Kitchen is also hosting a giveaway to send one reader their own set of products to make a delicious, Maine-inspired brunch. 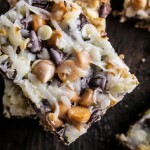 In addition to the four products I used in these recipes, you will also receive a canister of Farmhouse Pancake and Waffle Mix and the most adorable Downeast Coffee Mug to round out your brunch-making kit. To enter the giveaway, leave a comment below telling me your favorite way to spend a summer morning. By entering the giveaway, you are agreeing to the contest rules as outlined at the bottom of this post. 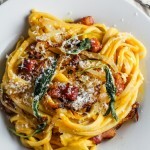 Disclosure: This post is sponsored by Stonewall Kitchen, but all opinions are honest and my own as usual. Pour Sea Breeze Mixer into a champagne glass. Add 1 dash bitters and vodka, if using. Top with chilled Prosecco. Serve immediately. Makes 12 large doughnuts. Recipe adapted from Taste of Home and Serious Eats. Place warm milk in a small bowl. Sprinkle yeast over the top of the milk, along with 1 TBS of the sugar. Stir for 30 seconds, then let stand 10 minutes, until yeast is foamy. Set aside. In a large bowl, cream butter and remaining 1/4 c. sugar together until light and fluffy. Stir in salt, then beat in eggs until completely mixed in. Add milk and both kinds of flour and stir until a smooth dough is formed. Knead dough until it is smooth and elastic, about 5 minutes. Place dough in a lightly greased bowl, cover with plastic wrap, and let rise in the fridge overnight. When ready to fry doughnuts, remove the dough from the fridge. Shape into a flat disc, then roll out on a floured surface to a thickness of 1/4 inch. Use a biscuit cutter or glass to cut 3 inch circles out of the dough, and place doughnuts on a baking sheet or tray. Re-roll any scrap dough to make more doughnuts. Cover doughnuts with a towel and let rise for 20 minutes. Heat canola oil or shortenining in a high-sided frying pan or dutch oven until the temperature reaches 350-375ºF. Fry doughnuts one at a time in the hot oil, flipping once. Doughnuts should fry for about 1 minute per side before they are golden brown on the outside and cooked all the way through. You may need to adjust the temperature up or down as you go. 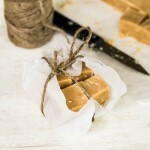 Combine the 1 c. sugar and 2 tsp cinnamon in a paper bag. 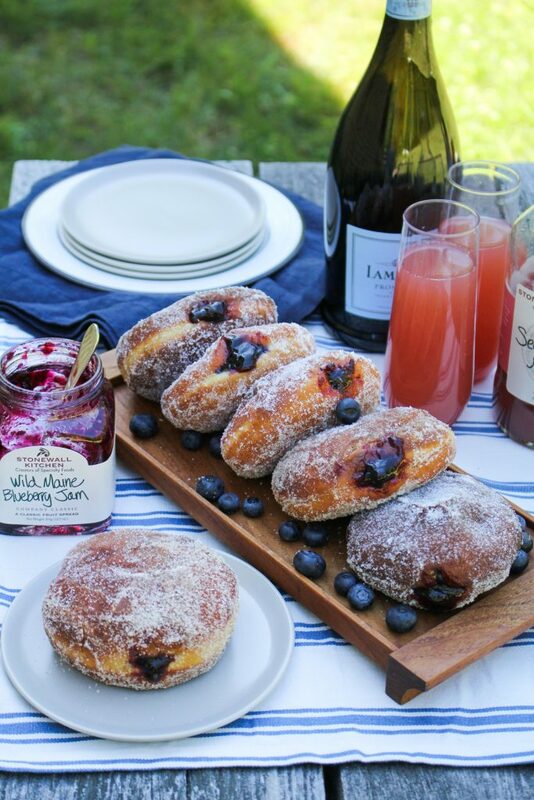 Immediately after frying each doughnut, place it in the paper bag and shake the bag to coat the doughnut with cinnamon-sugar before placing it on a plate to cool. Repeat the frying and sugar coating process until all doughnuts are cooked. Once the doughnuts are cool to the touch, begin filling them. Place the blueberry jam in a pastry bag fitted with a pastry tip. Insert the pastry tip into the side of the doughnut and fill until the doughnut is heavy and jam is starting to come out the front of the doughnut. Serve doughnuts as soon as possible after filling them. Add the cubed potatoes and white vinegar to a large pot. Fill with cold water to cover the potatoes and salt generously. Bring to a boil over medium heat, and boil gently until potatoes are just tender when poked with a fork, about 15 minutes. Drain the potatoes, then toss with 1 TBS of the roasted garlic oil and the smoked paprika. Set aside. Preheat the broiler to high. Place the poblano pepper and red pepper on a foil-lined, rimmed baking sheet, then place under the broil. Broil until pepper skin is beginning to blacken and blister, then use tongs to turn the peppers to another side. This should take about 5 minutes per side. Once peppers are blackened all over, remove from the oven and set aside to cool. Once cool, remove and discard the stems and seeds, and slice the pepper flesh into thin strips. Heat a large frying pan over medium heat and add bacon. Fry until browned and crispy, about 8-10 minutes, stirring frequently, then add the sliced shallots and saute until golden brown. Add the cooked potatoes to the pan and season generously with sea salt. Fry the potatoes until golden brown all over, stirring occasionally, about 15-20 minutes total. Remove from the heat and mix with the sliced peppers. Transfer to a large platter. Heat the olive oil over medium-low heat in a frying pan. Carefully crack the eggs into the hot oil and fry sunny-side up. 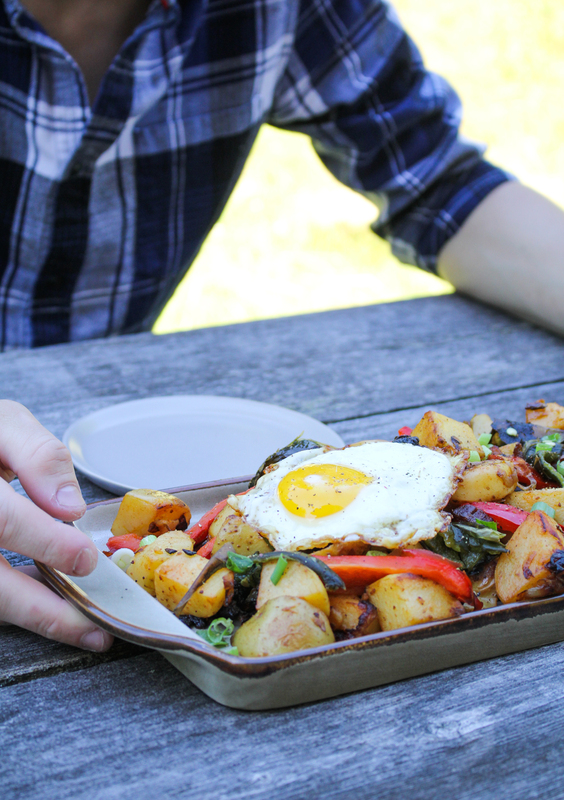 Place the fried eggs on top of the potato hash. 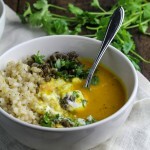 Serve with the Habanero Mango Hot Sauce. My favorite way to spend a summer morning is with some early yoga, followed by breakfast with my family and some time outdoors such as gardening, a walk at the beach, or reading in the hammock. Ahh..summer mornings: Grab your gear, stop for good coffee, and get to the beach! We wait sooo long for our beautiful Maine summer–gotta enjoy it! Early in the morning, before it is miserably hot, I take my coffee out to the garden and tend to the watering, weeding, and just generally admiring nature’s handiwork. If I am fortunate, a cherry tomato is ripe and I can pop it in my mouth to enjoy the sweet, tart juice. Stonewall Kitchen products have been a staple in our house for years. We visited their headquarters years ago in Maine — what an experience. Every time I open a jar of blueberry jam I am transported back to our good times. Their test kitchens keep getting better and better. Fun giveaway! Having a delicious mimosa out by the pool on sunday morning is a great way to start my day! Didn’t know stonewall kitchen made mixers. Look forward to trying them. My favorite way to spend a summer morning is to sit on a porch with iced coffee and a danish listening to an audio book or the radio. A coffee with a walk on the beach is my ideal summer morning! Lazing about on the front porch overlooking the lake and drinking some fabulous coffee, followed by a quick dip in the water with friends and family. I love getting out to the farmer’s market early and bringing home lots of yummy fresh picked fruits and veggies, the best cheeses and delicious breads and pastries, which is something I like to do year round, but in the summer I like to put together a picnic spread of all my farm fresh goodies and enjoy breakfast/brunch with the family either in our yard under the pine tree or to a nearby park where we can picnic by the Hudson River and enjoy the beautiful view. A perfect way to start a summer morning. 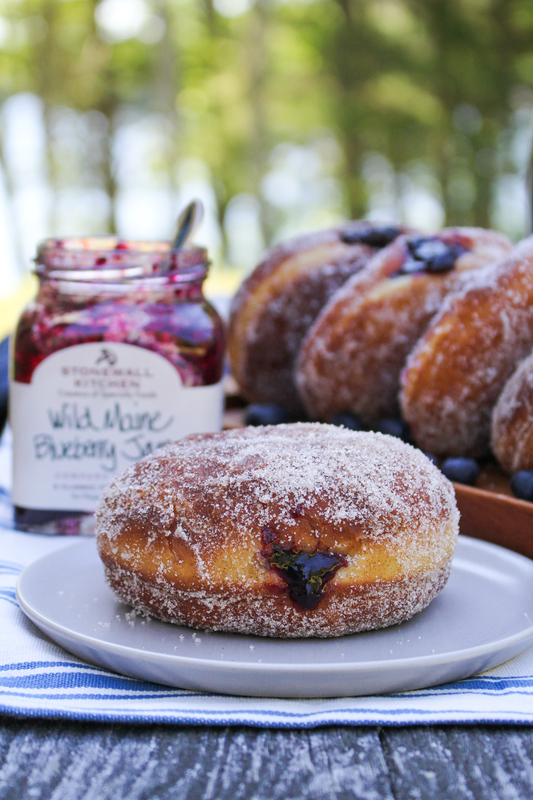 Also, let me just say your blueberry doughnuts look amazing! 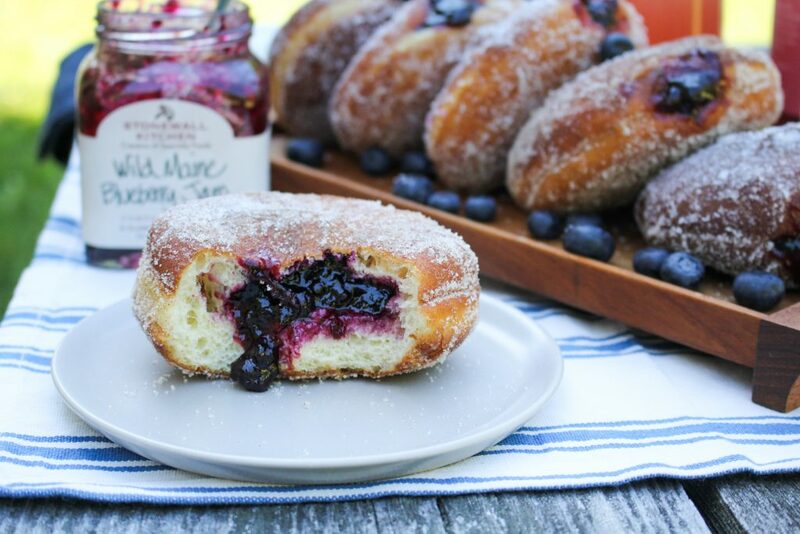 Light yeasty doughnuts are my favorite and I absolutely love Maine blueberry everything. I wait all year for our local ice cream shop to offer their Maine blueberry ice cream only available in the summertime, yum! I enjoy going for walks and enjoying nature. I love eating breakfast out on the porch and enjoying the nice weather! You really give meaning to the “JOY of COOKING”!!! First of all, those doughnuts look so fantastic. 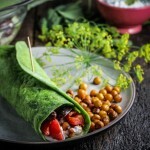 So my ideal morning would include some of those, and a big pot of coffee! But in reality, I think a nice walk through the farmer’s market is a great way to spend a summer morning (also with coffee). Thanks for the giveaway opportunity! My favorite way to spend a summer morning is coffee on the deck and puttering in the gardens. Rising early in the morning and starting with a fresh brewed pot of blackberry tea. Setting the kitchen table for a spot of tea and scones…then heading out for an hike in the Shenandoah Mountains to commune with God’s wonders. I love sitting on my back porch with an iced coffee and some fruit. It’s a wonderful, peaceful place to watch the birds begin their day. A cup of coffee and breakfast followed with a sweet treat with my family at the cabin! My favorite way to spend a summer (Saturday) morning is grabbing breakfast at my local farmers market and then treasure hunting at garage sales. Thank you so much for offering such a wonderful giveaway. In my hammock with a coffee. First, sleeping late; then a cup of coffee and a walk around the block. On a lovely July morning, we love to bring our 3 dogs to McEachern Park here in Scituate. When we’re all walked out, relaxing in our matching hammocks with a pitcher of iced coffee cannot be beat! Oh this is so exciting! I enjoy waking up and having some coffee in the backyard with my bf and pup (and soon, chickens!). Then heading to our local bakery for breakfast sandwiches on cayenne/chive/cheddar biscuits which are INCREDIBLE.